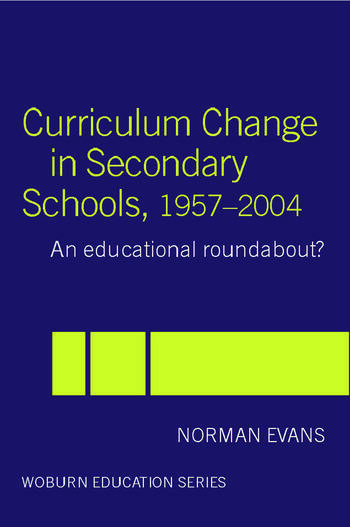 Curriculum Change in Secondary Schools, 1957-2004: A curriculum roundabout? * compliance with detailed prescription of school curricula. This is the back-story of today's educational climate, as seen through the eyes of seven successive head teachers and long-serving assistant staff who worked at the school during this momentous forty-year period. How did the changes affect what they sought to do as professionals? Where have these changes taken us, in terms of what happens in classrooms and what happens in the school as a whole? And what can be learned from the development of the curriculum over this time to inform future practice?